This retail display stand will add character and charm to any space. 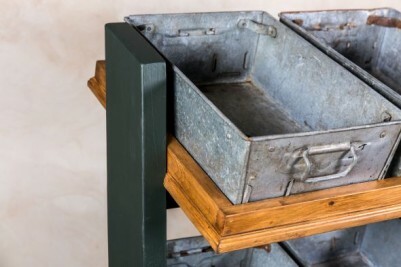 Choose from three widths, with three, six or nine metal trays and have the outer frame painted in any Farrow & Ball colour to best suit your interior. 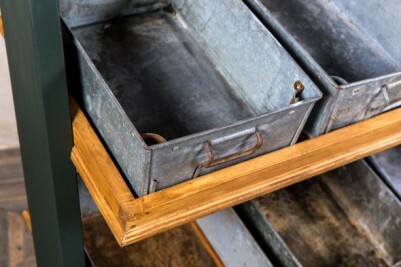 The trays can be lifted off, if you wish, revealing a slatted shelf underneath. 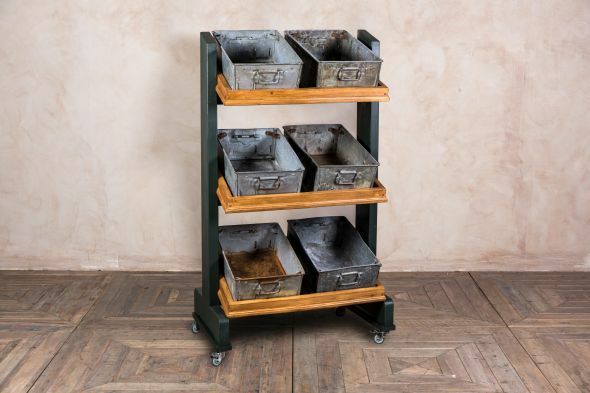 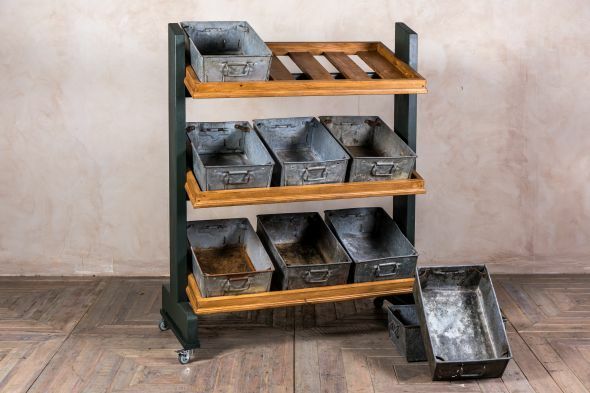 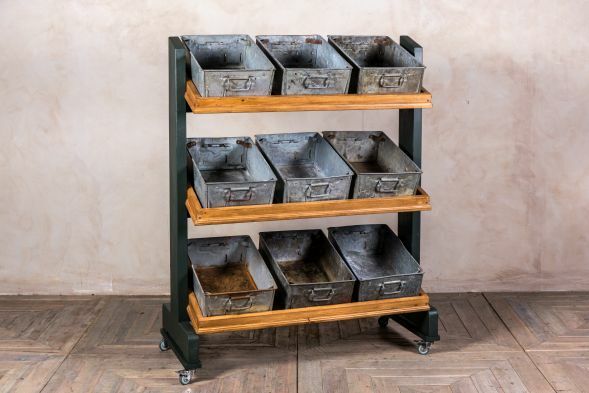 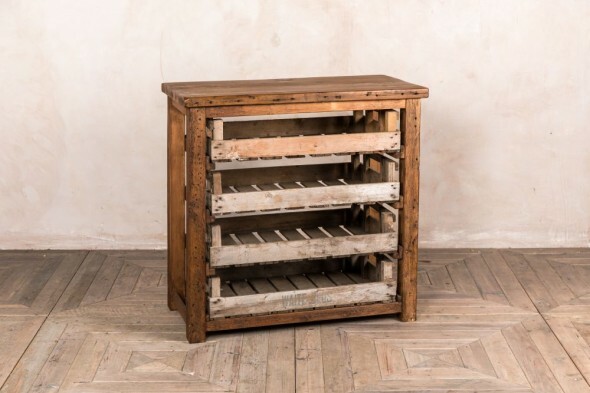 This stand could be used in a pub for bar snacks, crisps, beer bottles or condiments; it could also be used to display scarves, belts or other accessories in a vintage clothing shop. 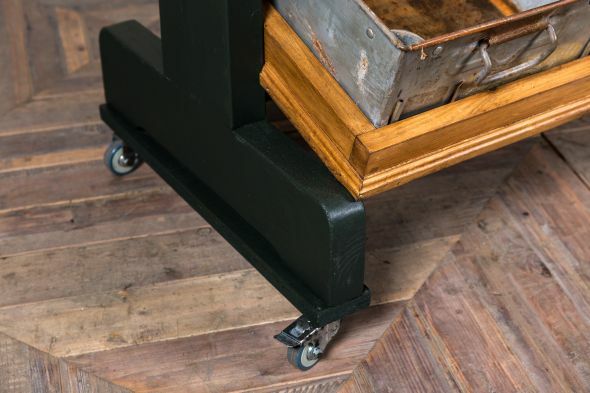 The base of the stand has four lockable castors, making it easy to move around. 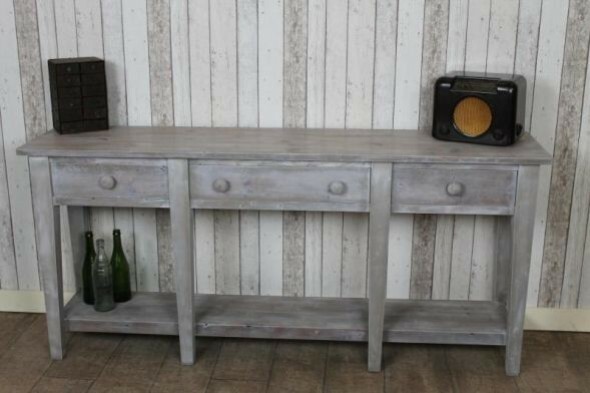 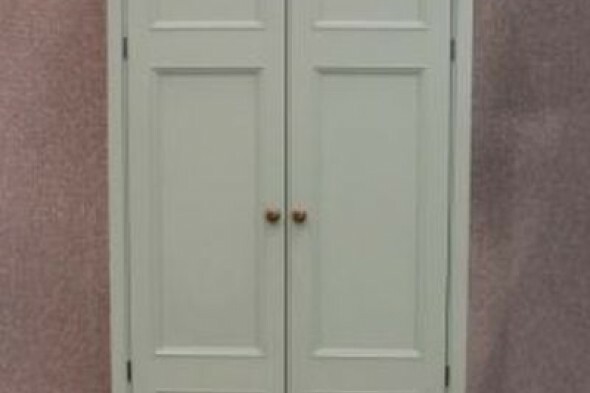 Each shelf has a waxed finish, but these can also be painted.